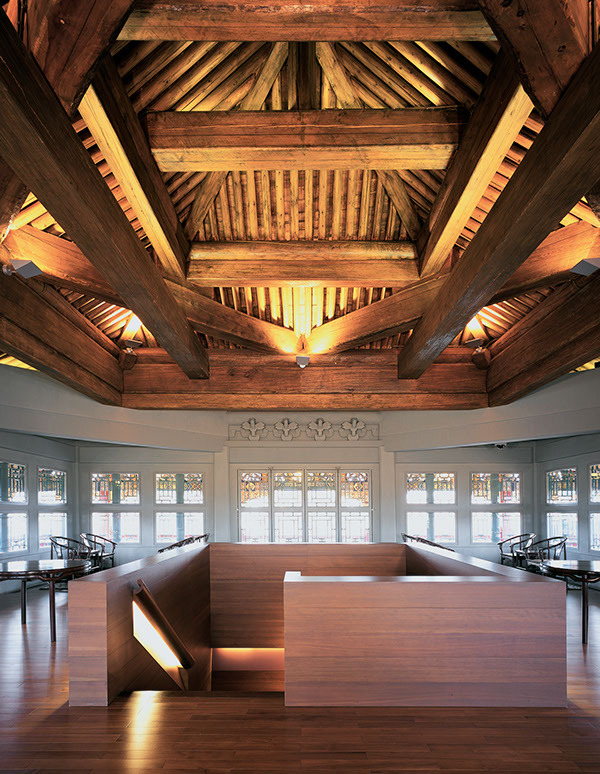 The project involved adaptive reuse of four historic buildings at the Forbidden City’s Jianfu Palace Garden of Established Happiness Museum and Visitor’s Center in Beijing. 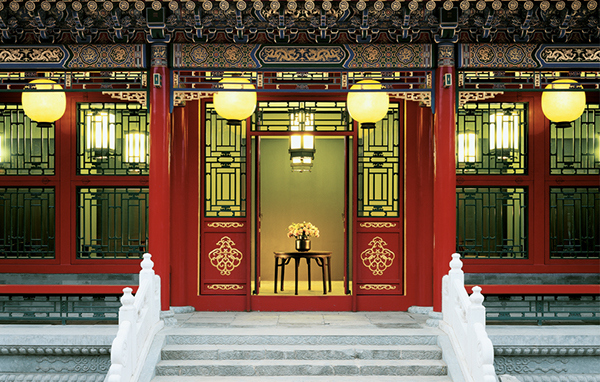 Preservation of the past was achieved through resurrection of historic buildings and furniture-making techniques. 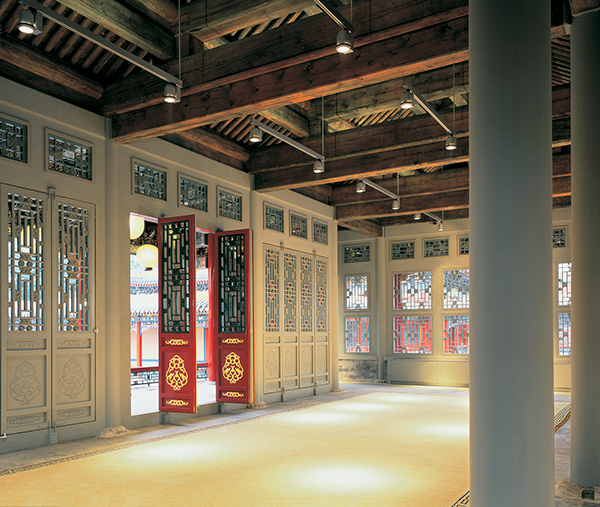 Jianfu palace now serves as both a reception center for visiting dignitaries and as a museum of Chinese architecture with flexible exhibit space for artifacts, photos, and drawings. 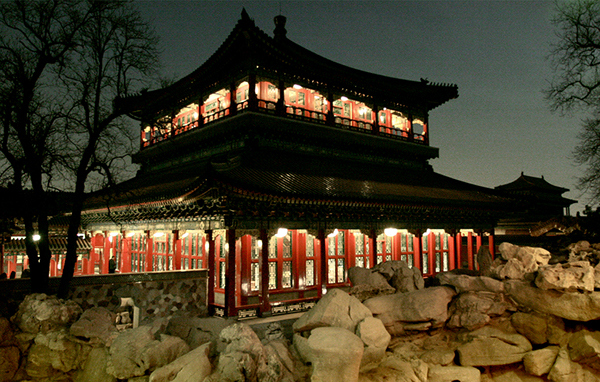 Central to the permanent exhibit are the ‘bones’ of the main pavilion which were purposefully left exposed to reveal the beauty of traditional engineering and techniques of craft. 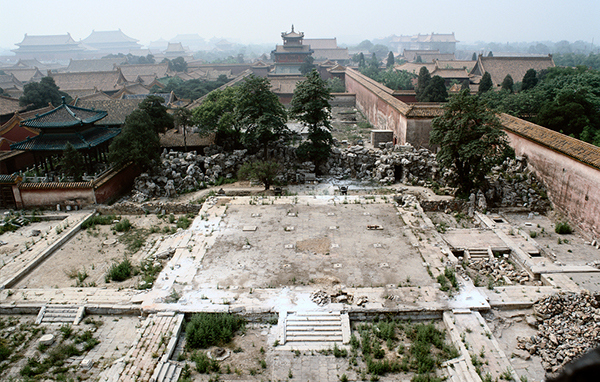 A key intervention was the addition of a staircase to the main pavilion’s upper levels (which had historically been used only for storage) now affords expansive views over the Forbidden City. Tsao & McKown also celebrated the few remaining traces of the original complex by creating a floating floor which preserves the ruined stone below and allows visitors glimpses through a series of reveals around the columns and at the perimeter. 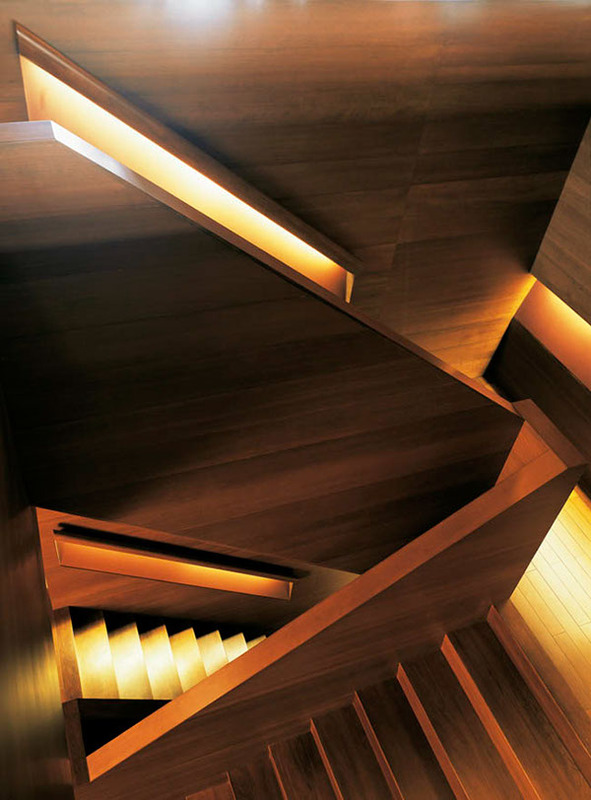 Woods for the new floor and stairs were chosen to complement those of the hand-hewn historical structure, but were planed smooth and given a light sheen. 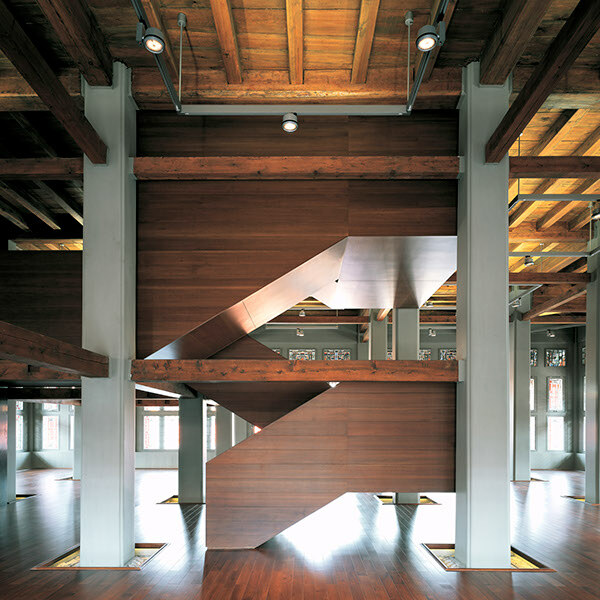 This semi-reflective finish at once denotes the structure’s contemporary heritage and honors the surroundings by evoking a dematerializing effect. 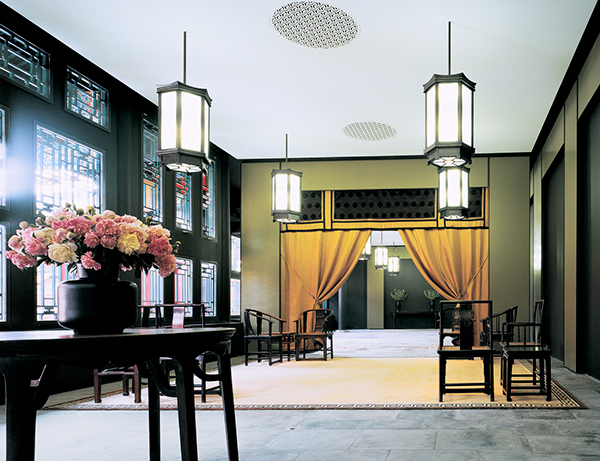 Tradition and contemporary intervention peacefully coexist in an icon of Chinese culture and memory.